When I first started learning about internet marketing, I heard this phrase “landing page” a lot. What’s a landing page anyway? And why would an author need to know about it, whatever it is? I quickly found out that “landing page” can be any web page, on a free-standing website, on a blog site, or anyplace else that’s used as a destination to send people. For instance, if I’m going to lead a group of authors on a tour of the best pubs in Amsterdam (commonly known as a “pub crawl”) I might set up a page on my blog describing the trip, telling people why it’s going to be a great experience, and providing a way for them to get more information or sign up to participate. This will become the “landing page” for that tour. It’s where I’ll send anyone who asks about it, I’ll link to it in any articles I write about the tour, and I’ll include it in any emails I send out letting people know about this unique opportunity. You can see that having a landing page for a product or service or special event makes the marketing a whole lot easier. And that’s why more authors should be using landing pages for their books, especially when it comes time to dive into your book launch. But none of those things, good though they are, can replace the efficiency and marketing power of a dedicated landing page. But there are new solutions coming onto the market all the time, and one I’m pretty excited about is Booklaunch.io. This looks like about the best solution for authors who want to quickly and inexpensively set up landing pages for their books, and I can’t wait to tell you more about it. Check out the great series of articles Kim Grabas has been posting about book launch landing pages here: Your Writer Platform: Want to Launch Your Book With a Bang? Then You Need This. Register for the free webinar I’ll be hosting on Thursday this week with Ben De Rienzo from Booklaunch.io. Ben will break down for us why authors need landing pages, what should be on them, and demonstrate this a great new solution for indie authors who want to save time and spur sales of their books. This will be a fast-paced and fun event with lots of instruction. Register now and I’ll look forward to seeing you on Thursday. Thanks for this Joel, I’m a bit late but saw your post on Google. Just wondering, are authors willing to pay for landing pages done for you services? Say you have a group of designers do your landing page so you don’t have to do a thing, does that help? Thanks! Hi Marilyn, Yes, there are certainly authors who are willing to pay to have a landing page for their book designed. Good luck with your site, it looks great. Thanks for your feedback Joel, love your blog posts, keep them going! I used Booklaunch and liked it though I found the lack of customization quite frustrating. I was using the Free account and it said we could design as many landing pages as we wanted. Hi Joel. Thanks for this. After reading your article I signed up for a premium account (not with your coupon code, though, as I was too late to the game for that). I found booklaunch.io easy to use, but I have a question about SEO. After setting up my booklaunch page, I set it as the static home page through my wordpress dashboard. I just got a notice from Google via webmaster tools stating that my webpage is suspect because the home page is redirecting to a different page and may “mislead visitors to your website.” Is there a way to make this NOT look like a misleading page? I would definitely not redirect your home page elsewhere. Just set up a menu with the Booklaunch page linked to a menu selection and you should be fine. Use the home page to welcome visitors, introduce yourself, say what the site is for, etc. Thanks for your speedy response, Joel. Unfortunately, the plot thickens, and not in a good way. When I try to go into wp-admin to make it so that my home page doesn’t redirect to the booklaunch.io landing page, I am no longer able to access my admin panel. I get the blank screen of death. I’m regretting using booklaunch and have apparently lost access to even be able to take it down (making the page no longer be live just makes my entire website be a big blank). I know you didn’t sign on to offer support for booklaunch,io users, but, since a)you’re a very trusted source! and b) your endorsement is leading a lot of folks (like me) to book launch, I imagine this isn’t the first time you’ve heard that booklaunch.io is messing with users’ admin panels. Any advice on how to fix it? Thank you in advance. Michelle, I’m sorry to hear that. I have no idea how to fix the problem, but if I were you I would get in touch with the Booklaunch team, they are very savvy about web development. I also always have a WordPress technician on call for times like that, and they have bailed me out numerous times. To be honest, I haven’t had any other reports of problems with Booklaunch, so I’m not sure whether others are having a problem with the technology. You should have received an immediate email with all the details, but that may have got caught in the spam or junk folder of your email. Email me at jake@booklaunch.io and I will resend it to you. “I’m really frustrated with my experience at Booklaunch.io in the last week. 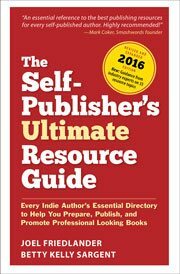 Was the site purchased by Author Marketing? Before I started hearing of Author Marketing being involved, I set up a free page. I was working on it Wednesday and the colors that I designated did not work. Specifically, the tan background that showed in the preview of the top section is showing up white. And the page is loading in such a way that lines run through the photo of my book for several seconds. “I am on the mailing list of Joel Friedlander, but I was unable to attend his teleseminar yesterday. Today I read his email about the ‘deal’ you are offering customers together with him and I find it is no deal at all! Last time I looked at pricing (I think I just did this Wednesday), premium membership was $9 per month. I see that today (without any notice that I am aware of) the price has gone up to $12 per month. And the ‘deal’ through Joel Friedlander is for just over $8 a month. (I already made a 3D book cover for free thanks to Derek Murphy). So what gives with the pricing? “All that is more or less complaining. Here now is my technical issue. “I went to log in today to check the normal premium price to see if the deal made sense. Instead of letting me log in, Booklaunch created a whole new account for me and I can’t get to my old account which already has my page created. Apparently the program is not smart enough to determine that there is already an account through my email address and other info. So how can I get to my page? “Also, is the page really live or is the site still in Beta? My page is not appearing in the first several pages of hits when I search for my name and book title through Google, which makes the free page basically worthless. Sorry to complain here, Joel, because I’ve been helped by your site so many times and sent so many other writers here. But I think your readers need to know that there seem to be multiple issues with this new tool before they put down a lot of cash. Pricing – The regular pricing model is a Premium Tier that costs $12/mo or $120/yr (a 15% discount compared to monthly) The promotion we are doing with The Book Designer adds value for a Free 3D Book Cover and $37 coupon to BookDesignTemlates.com and we discount the yearly price to only $97/yr. This is a limited time offer for TheBookDesigner community. Login Issue – I believe we resolved your technical issue with logins and multiple accounts. If not please email me at jake@booklaunch.io or help@booklaunch.io and I’d be happy to get that resolved for you. We’ll work on making the login process more savvy to cut down on the chance of multiple login. SEO – We are live and so is your page. I found your page here: https://booklaunch.io/ConnieRossini/54559e7eea42439e50a871cc I do see your page indexed with Search Engines so that is good too. Although it does not rank in the top few pages, SEO takes time and data. I would expect it to start climbing the rank soon. We’re constantly optimizing to make SEO better and drive more traffic to authors pages. Overall – We’re trying to build a product that truly serves authors. While what we have is not perfect we also have a very dedicated team that wants to help authors. Like with any technology product there are bound to be issues, but our team is here to help (help@booklaunch.io) and is constantly releasing new features and improving current ones. This is great Joel! I just made myself a gorgeous landing page with Booklaunch.io over the weekend. It’s truly simple to use and absolutely stunning. But, I have no real idea of how to use it or what to do with it, so I’m thrilled about the webinar. See you then. What a beautiful page, Leslie! We’ll definitely help share it to the Booklaunch community. Colors look fantastic. See you at the webinar! We’ll be doing some Q&A afterwards so feel free to ask any questions. This approach ensures that people who are interested won’t have to wade through your categories or use your site’s search bar.